It is a well known fact that a large portion of our income as a nation comes from animal agriculture. According to a 2007 Report by UK Trade and Investment, around 31% of our export earnings come from dairy products and “meat” products alone. New Zealand supplies around 31% of the entire world’s dairy supply and 55% of world trade in sheep meat. According to the same report, New Zealand is the world’s largest producer and exporter of crossbred wool, and is second only to Australia in the export of all wool. * Think of the horrendous amount of exploitation, slaughter and pollution that those figures signify, and they do not even include the fishing industry, the deer farming industry, or pig farming and other animal agriculture. The fact that a large portion of our economy as a nation comes from animal exploitation does not justify continued exploitation, any more than the fact that a large portion of the US economy is based on selling weapons justifies war and the murder of innocent people. Question: What about the hard-working people who raise animals and will lose their livelihood? Animal agriculture creates jobs for people. Do we want to see these people out of work? Answer: War creates jobs. The tobacco industry creates jobs. The prison industry creates jobs. Does that mean we should drop bombs on people, encourage people to smoke, and imprison people for no good reason? Of course not—because economics should not determine our ethics. The fact of the matter is, vegans love to eat. Also, as we are animals, we need to eat. We also need to wear clothes, among other things. A vegan world still needs farmers! Veganic farming has been practiced for decades, and not only is it a method of farming that avoids animal exploitation, it is also much more environmentally friendly, especially when compared to animal agriculture. 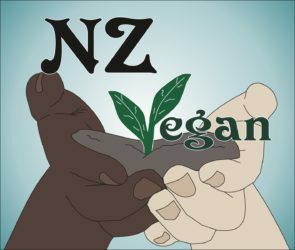 In June 2010, the United Nations released a report urging a global shift towards a vegan diet, and they are most certainly not an animal rights organisation. It is absurd to claim that veganic agriculture is an impossible way to feed the world population—no one has ever even considered it on a grand scale before! We are an incredibly innovative species. We have invented touch screens the size of our palms, put people on the moon, discovered quantum physics—and yet when it comes to methods of farming that are new and forward thinking all of a sudden we throw up our hands and claim it’s too difficult? For some time now in New Zealand we have been conducting experiments on cows and sheep, and presumably other animals, to make them fart less. Why? Methane emissions. Global warming, carbon pollution. Putting aside the immorality of animal use, animal agriculture is destroying the New Zealand environment and indeed the planet, polluting the atmosphere, poisoning the rivers and oceans, devastating the forests. Instead of using our intelligence and creativity, of which we are so proud, to conduct what are no doubt horrific and torturous experiments on the digestive systems of sentient beings, we can put our energy and knowledge into sustainable, ethical, nonviolent farming practices. How are we going to do this, you ask? By being vegan. That is the first step. We the consumers are creating the demand for animal products, a demand that is responsible for the slaughter of 56 billion animals a year—an impossible figure. But that does not even include sea-dwelling beings, or animals used for clothing, entertainment or the many other trivial and unnecessary things we are using them for. Hundreds of billions of individual, sentient beings every year. Our demand for animal products is responsible for this. If we collectively create a vegan consumer base, those clever producers and farmers will not need to spend their energy and creativity experimenting on innocent animals in an attempt to reduce methane emissions, but will instead use that energy and creativity to produce vegan products, in order to satisfy our demand for them. A point in its favour is that the negative impact on the environment caused by our consumption will be lessened hugely, not to mention the eradication of an utterly overwhelming amount of violence and exploitation. The first step starts with YOU. Be vegan, use only vegan products, eat only vegan food. Would we not prefer to live in a world without slaughterhouses? It is up to us to change things. We must have faith in our farmers’ abilities, and trust in their knowledge and determination. We must show them that we no longer demand the products of exploitation, but will support the products of veganic agriculture. The first step begins with going vegan. Being vegan means becoming part of the solution. There is a lot of information available about veganic gardening. Why not start your own backyard veganic garden if you are able? Or you can practice growing herbs and leafy greens veganically in pots if you do not have the space or the time for your own garden.